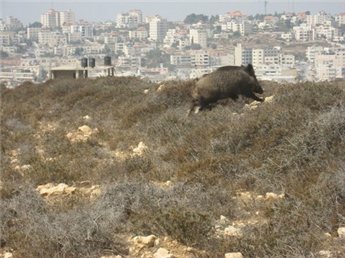 A flock of pigs released by settlers from the Ariel settlement attacked houses in an area near the settlement north of Salfit, causing substantial damage, destroying people's home gardens and spreading terror and fear, especially among children. Eyewitnesses said that the pigs destroyed the agricultural land of Fikri Az-Zarba, as well as his home garden and plants. Farmers and citizens appealed to the responsible authorities to prohibit this phenomenon of wild pigs that are causing serious losses to area farmers and endangering residents. In a similar incident last year a farmer in Salfit almost killed by a wild pig, and still suffers from a serious disability. 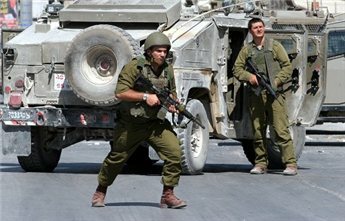 Israeli forces detained four citizens from Al-'Ein refugee camp west of Nablus and invaded many houses in the camp on Saturday before dawn. Palestinian security sources in Nablus said that the Israeli military stormed the refugee camp after midnight and began invading and searching a large number of houses. Among the houses that were broken into and searched were those belonging to residents Jihad Hmeidan, Amjad Mabrouk, Abu Taysir Mabrouk and Abu Daoud Mabrouk. Palestinian sources reported that Israeli forces detained Walid Dawoudi, 40 years old; Qassem Mabrouk, 40 years old; Amjad Mabrouk, 33 years old; and 18-year-old Abdul Rahman Mabrouk. European Parliament member: situation in Hebron "barbaric"
Seven civilians were injured during a Hamas-organized protest against the siege on the Gaza Strip, near the Sufa crossing, in the southern Gaza Strip on Friday, after Israeli forces opened fire on the protestors. Mu'awiyya Hassanein, head of ambulance and emergency services in the Palestinian ministry of health, confirmed that seven injured civilians were taken to the European hospital in Gaza. Two of the injured are in a serious condition, he said. 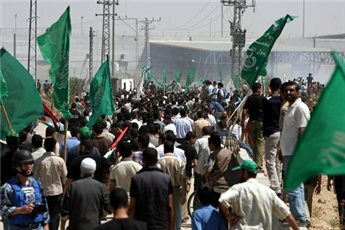 Prominent Hamas leader Hammad Ar-Reqel said the protest had been peaceful until the soldiers opened fire. "If Israel doesn't respond to our messages, then it can expect more but we won't wait until Palestinians die," Ar-Reqel added. Fatah's Al-Aqsa brigades claimed they clashed with Israeli forces near the Sufa crossing east of Rafah in the southern the Gaza Strip on Friday. The brigades said in a statement that immediately after the Friday prayers ended, violent clashes took place between Al-Aqsa brigades members and the Israeli army near the Sufa crossing where Israeli forces were razing agricultural lands. The Al-Aqsa brigades confirmed that they will respond to any ongoing Israeli incursions, assassinations and detentions. Rami Abdo, spokesperson for the Popular Committee to Confront the Siege, said that the Israeli occupation is committing a "real and silent holocaust" against children in the Gaza Strip. In a press statement, Abdo described Israeli attacks in the Gaza Strip as war crimes, and emphasized the impact of the Israeli-imposed siege on Gaza's children. He cited the targeting of children by the Israeli military through shelling and direct aggression, and the children and infants dying as a result of the blockade imposed on the Gaza Strip. Abdo pointed out that about one third of patients prohibited from leaving the Gaza Strip for treatment abroad are children under the age of 15. From the middle of January 2008, Israeli authorities have prevented the import of children's medicines and nutritional supplements into Gaza. 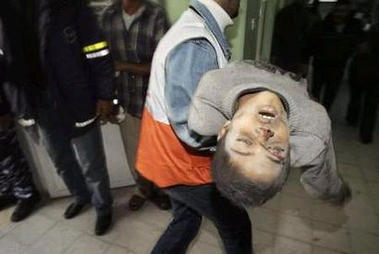 Four infants have died as a result of the siege during the three past days. Abdo noted that children constitute 51% of the population in the Gaza Strip, and they are exposed to the worst violations, as documented in reports by numerous international organizations. For example, UNESCO recently reported that the proportion of children suffering from anemia in the Gaza Strip is now more than 70%, in addition to an increase in psychological and social problems. An elderly Palestinian woman was killed when special Israeli forces raided the Khaza'a area, east of Khan Younis at dawn on Friday. The forces also razed agricultural lands in the area. Medical sources told Ma'an that 70-year-old Yosra Qzeih Abu Roq was dead on arrival at Nasser hospital in Khan Yunis. 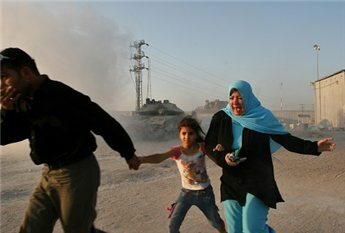 She was killed when a special Israeli force opened fire on civilian houses in Khaza'a. Palestinian sources said that at 2am on Friday a special Israeli force stormed the Khaza'a area, along with a number of military vehicles. Also on Friday sources told Ma'an that Israeli forces raided 300 meters east of Al-Bureij refugee camp supported by a number of Israeli military vehicles, firing heavily at civilian houses. They were accompanied by a huge fleet of Apache helicopters.